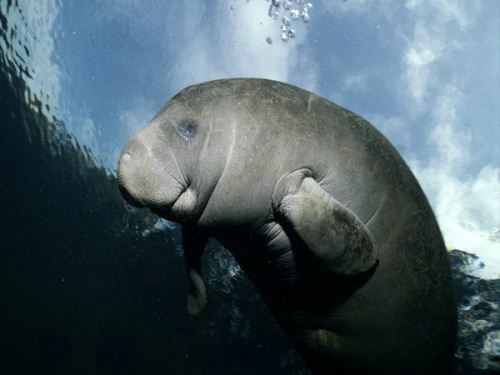 The physical appearance for a manatee is unique. The body color comes in grayish brown. The skin is wrinkle and thick. The shallow water is easy to tackle by manatees because they have front flippers. They are very useful for the manatees to steer and crawl. The function of manatee tail is used to propel them when they are inside the water. 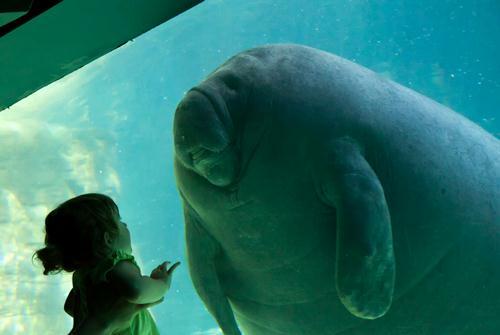 Many people think that manatees have not a good vision. It is no true even though the animals have small eyes. They can see the objects very well. Find another animal living on beach in starfish facts. When manatees want to grind the food, they will use the molars which function as their teeth. If the molars fall off, they will be replaced with new ones. 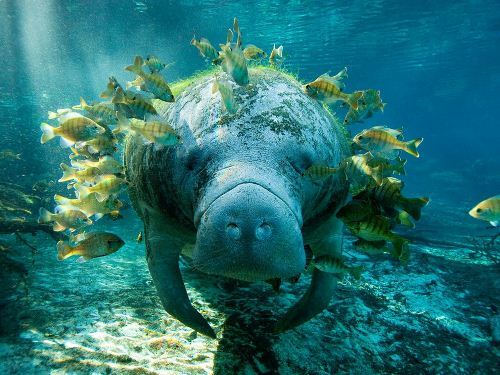 Manatees are included as the herbivorous animals. They like eating freshwater plants and marine plants. Find another animal living on the ocean in emperor penguin facts. When the winter time comes, you can see many manatees live in coastal water of Florida. When the summer season comes, manatees can be seen living in Louisiana or Carolina coastal areas. Sometimes they also migrate to the northern part in Cape Cop. Manatees have the length in the size 2/3 from their body length. They use nostril when breathing the air. It is not easy for them to breathe the air through the mouth because it is used to consume food. 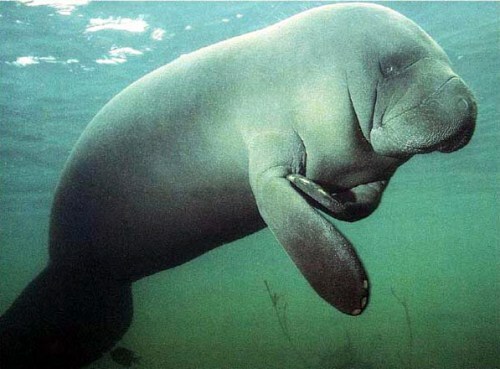 If you want to see manatees, you can go to the bays, shallow rivers, warm waters, coastal areas and estuaries. When manatees want to communicate with other animals, they will squeal underwater. This behavior can represent excitement, stress and fear. When manatees play, they will use the body to surf and barbell roll. The animals are well known with their slow moving nature, gentle and calm look. 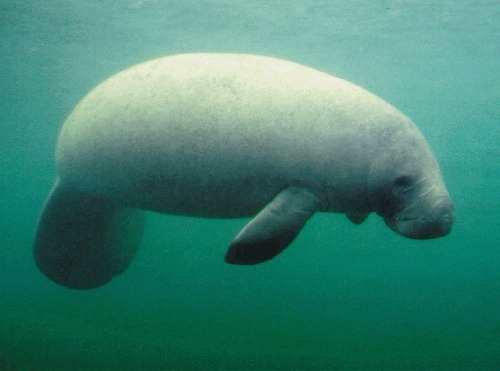 The gestation period of manatees lasts for about 1 year. The number of off spring in a litter is 1 calf. It has the weight around 60 to 70 pounds when it is delivered. The length of the calf is around 3 to 4 feet. The calf will be looked after under the water. When we talk about the mating season, there is no specific period about it. If you want to see manatees in closer look, you can go to Florida because this place is always associated with manatees. What do you think on facts about manatee?